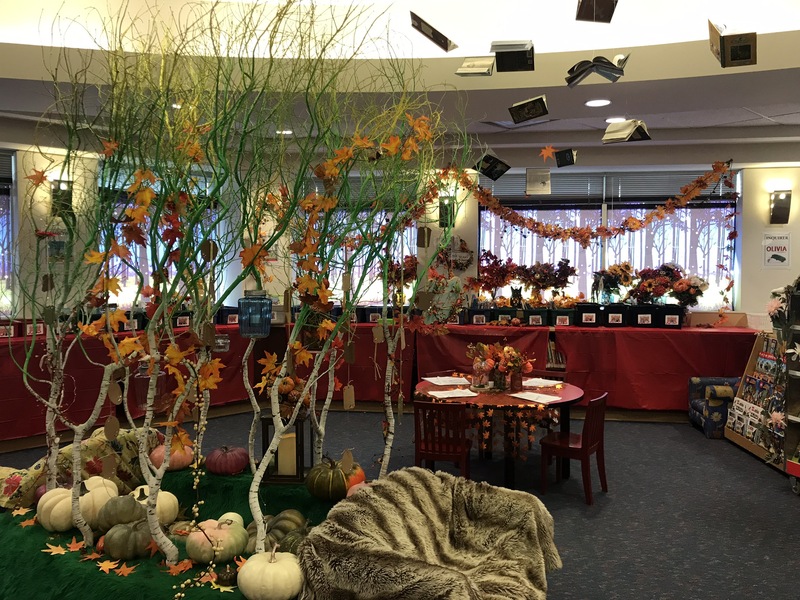 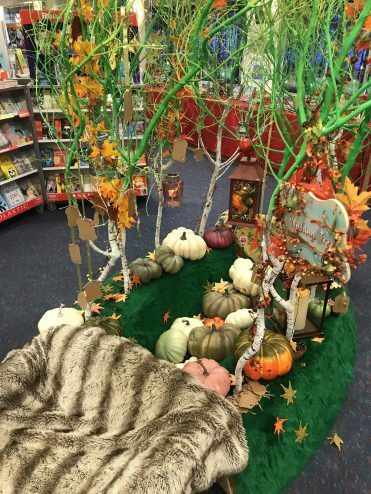 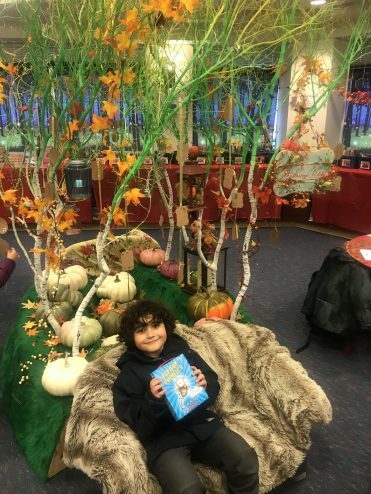 This year, the Scholastic Autumn Book Fair theme was ‘Enchanted Forest’. 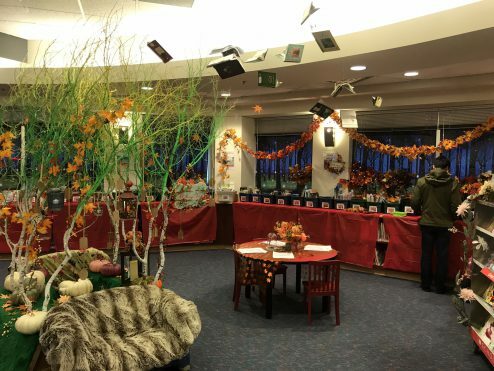 I volunteered to decorate a section of the school library as part of its magical transformation. 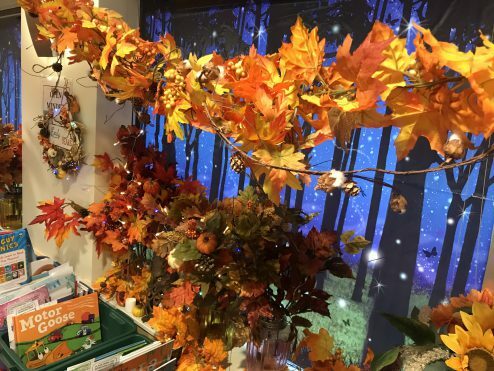 Considering the space, I was inspired to create some enchanted ‘flying’ books to hang above the readers. 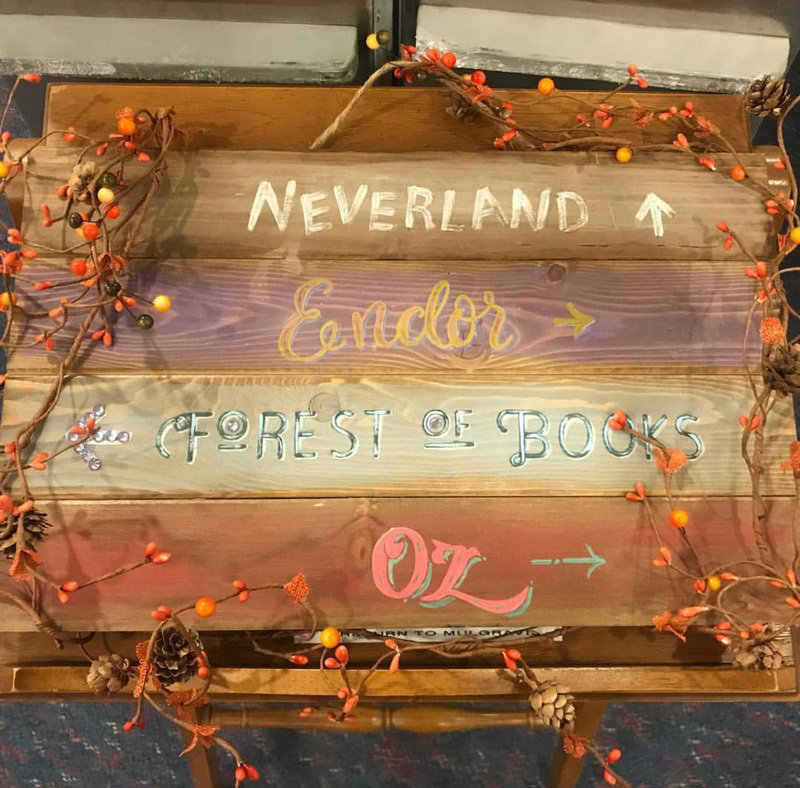 I hollowed out discounted children’s hardbacks and using Mod Podge to glue the pages open at different states, and hung them with nylon wire. 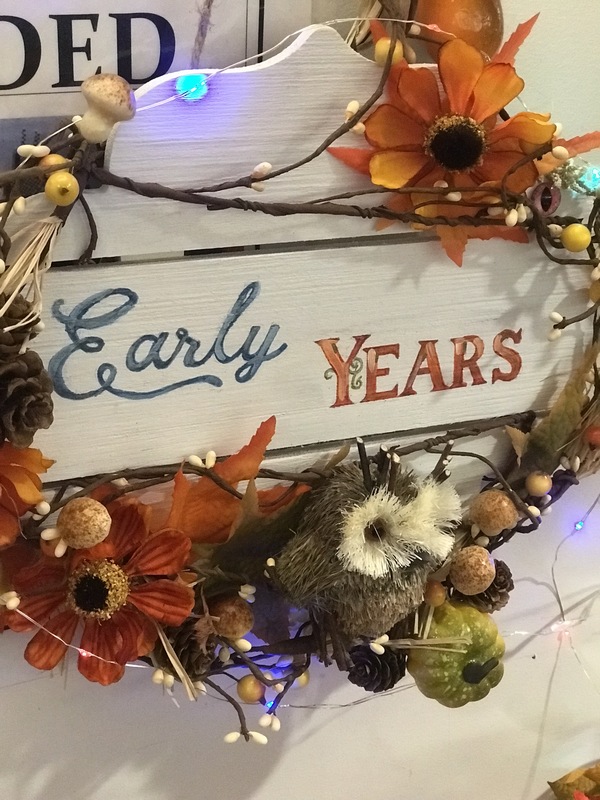 The signage was really fun to make, I painted wooden boards with freehand calligraphy and added autumnal detail and glass eyes for a touch of fantasy. 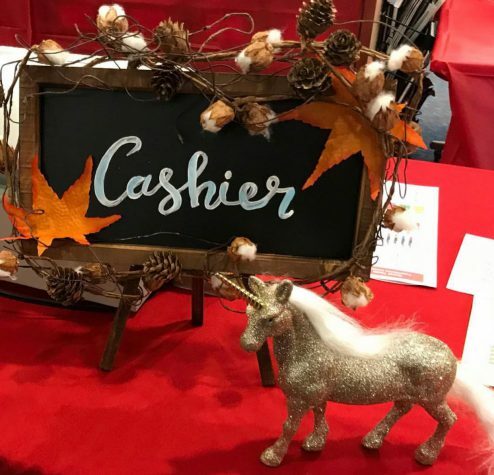 I made headdresses for the librarians and signage for the cashiers to match. 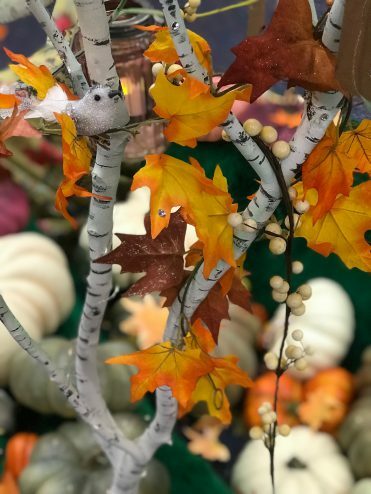 I prepared faux foliage garlands and festooned the trees and windows, which looked beautiful with the light shining through the Fall colours. 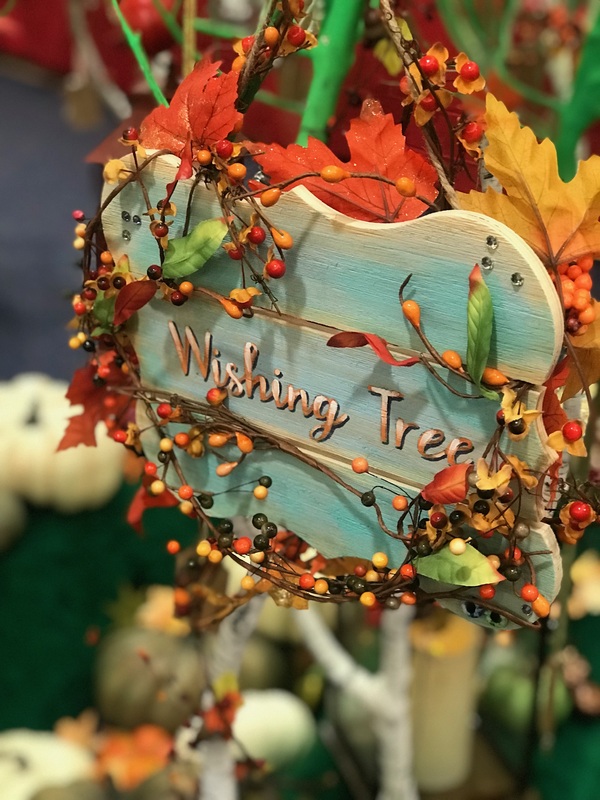 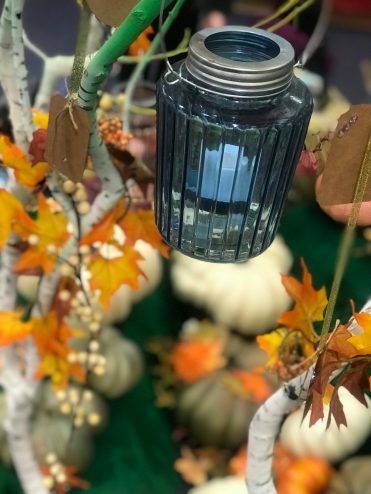 I added details to the trees such as battery-operated candles in lanterns, LED lights, sparkling rhinestones and strings of pretty ribbon with tags for the students to write on their book fair ‘wishes’. 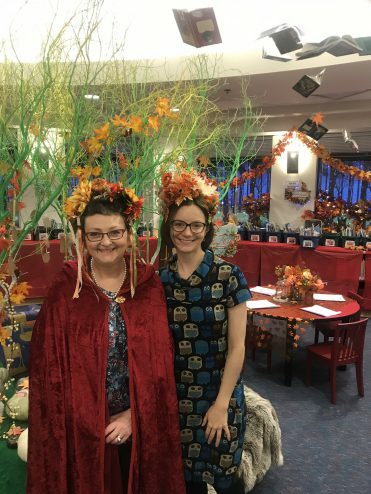 Our lovely librarians getting into the spirit!